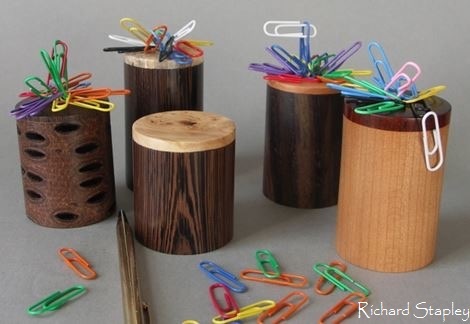 Available in a selection of Woods with a contrasting Wood beneath which a Magnet is located and therefore ensuring the Paperclips stay in place. Price range £8.00 to £12.00 + delivery. 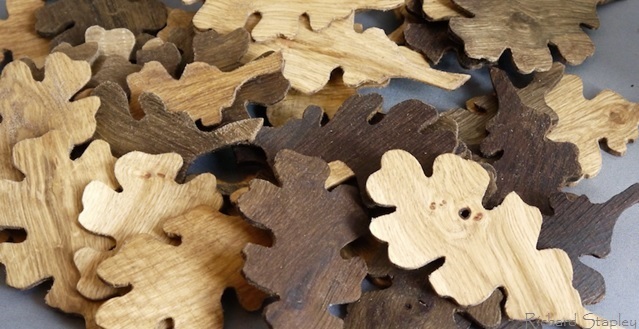 Life size Oak Leaves cut from various types of Oak including, English, European and Brown Oak. 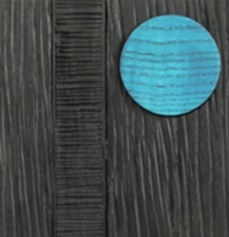 I also Fume those produced from English Oak to give the dark brown colouration of Fuming.